Skier’s thumbs and snowboarder’s wrists are vulnerable to a spill. Follow these tips to stay safe on the slopes. During the winter millions of people take to the slopes to enjoy skiing or snowboarding. Fortunately, serious injury and death are rare in these vigorous outdoor sports; however, injuries do occur. Here we will discuss the common upper extremity injuries, how to avoid them, and what to do if you are injured in a fall. The most common upper extremity skiing injury is to the thumb. The thumb contains two main stabilizing ligaments on each side at the second joint from the thumb tip or MP joint. (A ligament is the band that connects bones to bones.) The inside — closest to index finger — or ulnar collateral ligament (UCL) is the most commonly injured. This occurs with a fall, when the ski pole does not release from your hand and the pole places a bending stress on the thumb. If you fall while skiing and your inner thumb hurts, it may be from a “skier’s thumb” injury, and you should see a hand surgeon. Your surgeon will determine whether it is a partial or complete ligament injury/tear. A partial tear is usually treated with a cast or splint, whereas a complete tear is often treated with surgery to repair the ligament. The chance of getting a “skier’s thumb” injury may be reduced by releasing your ski poles while falling and by using ski poles without platforms or saber handles. If the pole stays in your hand during a fall, the pole can act as a long lever arm, placing a large stress load on your thumb joint and its ligaments and causing this injury. 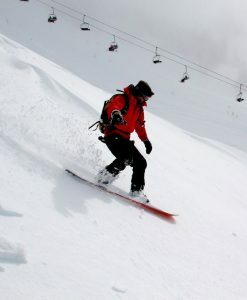 Unlike skiing, in which both the upper and lower extremities may be injured, snowboarding tends to lead to injuries of the upper extremities, especially the wrists, and less to the lower extremities. Snowboard mishaps occur without warning and can lead to a sudden fall either forward or backward. As a natural protective reaction, the hands are thrust out to break the fall, leading to a wrist injury. If you fall and your wrist is painful or swollen, your doctor should examine your wrist and take x-rays or possibly an MRI or CT scan. Depending on if there are any fractures or ligament injury, treatment may consist of a splint, cast, or even surgery. Occasionally, special devices are needed, such as metal pins, plates, screws, or even a combination of devices to stabilize wrist fractures or ligament injuries. The chance of suffering a snowboard injury may be decreased by using wrist guards or gloves that have guards built into them. Medical studies show that such protective gear may be effective at decreasing the potential for injury. Helmets have also been shown to decrease the potential for head injury and they should be worn while skiing or snowboarding. 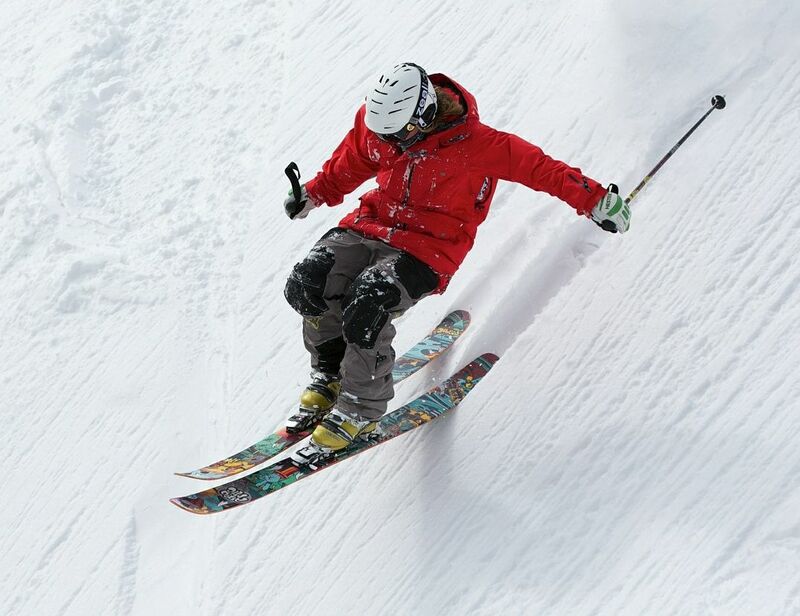 If you ski or snowboard within your ability and under control, you will increase your enjoyment of the sport while decreasing the risk of injury so you can enjoy many hours on the slopes. Dr. Charles Leinberry is a hand and wrist specialist at The Rothman Institute.